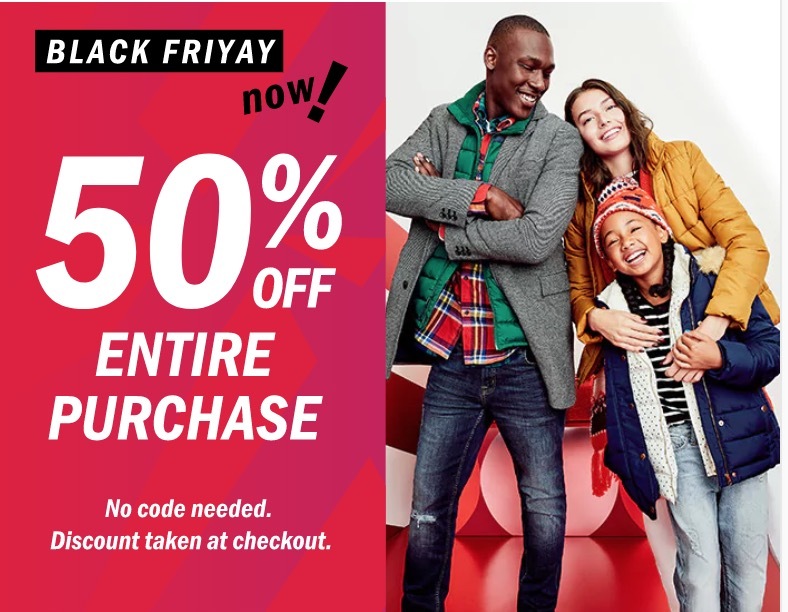 Old Navy Canada Black Friday 2017 Sale is on now! The sale includes: Save 50% Off Entire Purchase for Women, Men, Girls, Boys, Toddler & Baby. The Old Navy offer is valid now through November 24, 2017 at 11:59 pm ET. Old Navy has a FREE shipping on online orders of $50 or more. Click here to view Old Navy Black Friday sale.